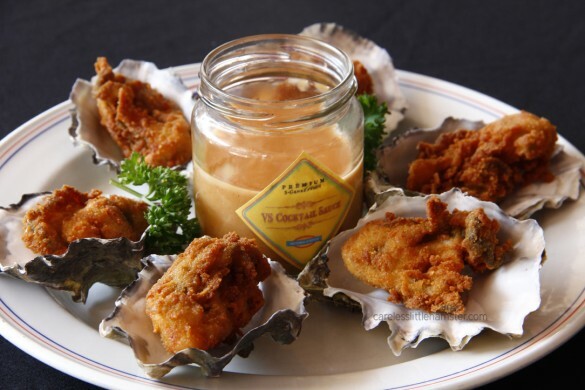 Calling all oyster fans ! Better keep your September free for the oyster promotion at Victoria Station outlets ! You guys have to go for the promo , man .. It’s SO WORTH IT . ._. I really sound like a tv commercial .. BUT REALLY. Compare the prices from the menu and the promo menu .. The promo is almost half the price ! Seriously, guys . Deep fried . They’re so, so yummy .. Even with Victoria Station’s special homemade sauce, it’s so, so good . A shell full of oyster accompanied with good cheddar and smoked chicken . Don’t be mistaken , it’s not ostrich meat (Quite obvious, with the photo above.) . 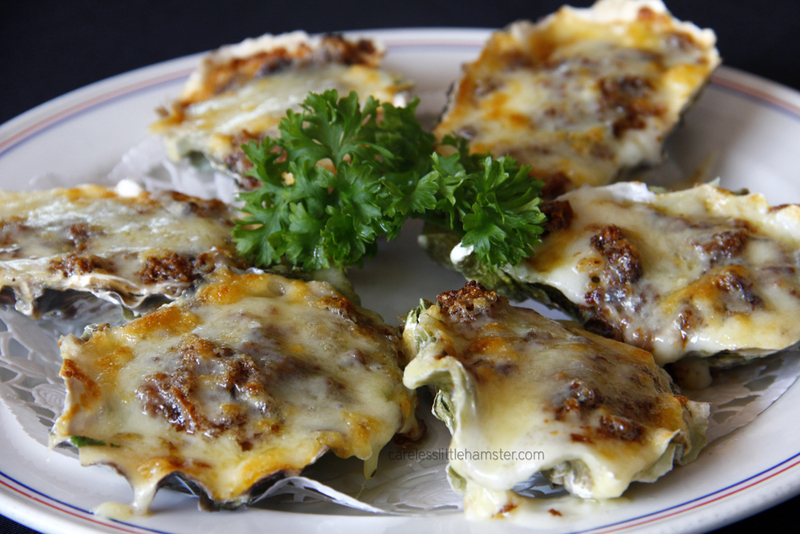 It’s oysters in French . 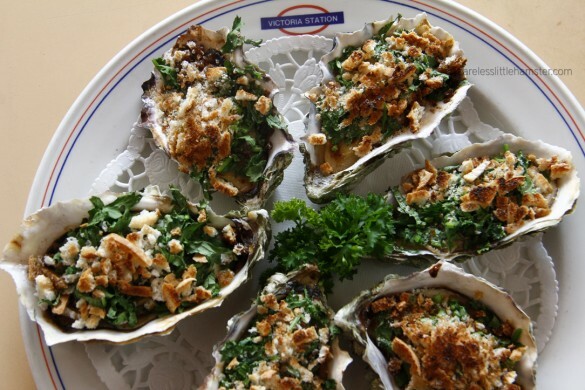 Lovely rock oysters cooked with olive oil, parsley and bread crumbs .